East Park blends the luxury of the eastern suburbs with the conveniences of city living. | East Park Kent Town | 1 King William Street, Kent Town. Where the eastern suburbs touch the city. 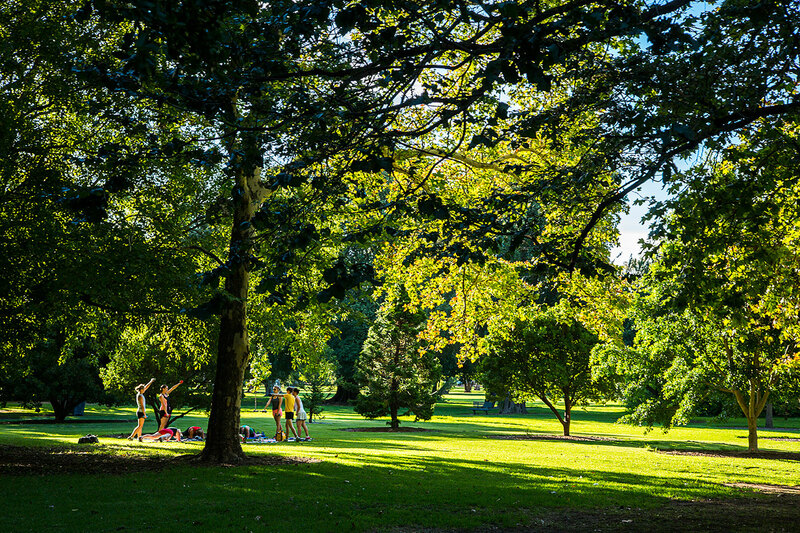 East Park blends the luxury of the eastern suburbs with the conveniences of city living. Positioned at 1 King William Street in Kent Town, East Park overlooks Adelaide's famous parklands and Botanical Gardens. Unique to East Park are a selection of large premium 3 bedroom apartments with sensational panoramic views of the city and the hills, as well as our 2-storey townhouse apartments on the ground level which feature versatile floor plans and multiple living zones. When Doctor Benjamin Archer Kent first arrived in South Australia and settled on land near Norwood in April 1840, the vision for East Park was born. Before developing the residential area today known as Kent Town, Dr Kent built a wooden cottage amongst a grove of wattles on the corner of Rundle Street and Dequetteville Terrace. He named his home East Park Cottage. For years, Dr Kent's cottage was the only building between the city and Kensington. 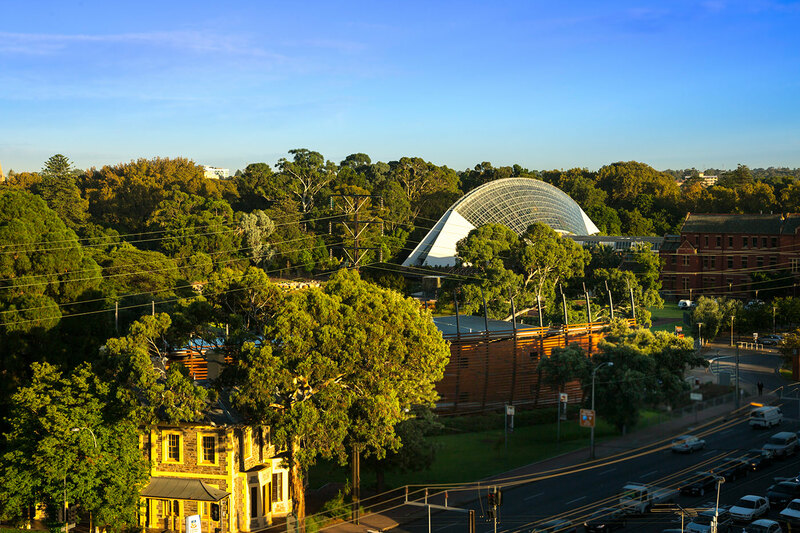 Throughout this time he established the lush East Park Gardens on the open land surrounding his home, creating expansive natural parklands only steps from what was to become the inner city of Adelaide. Dr Kent was the visionary for Kent Town and now, almost two centuries later, East Park offers the opportunity to share Dr Kent's vision and establish your home at this historic and highly sought after site. East Park's townhouses, apartments and penthouses have been planned for you with only the finest lifestyle in mind. Combining the immense time proven benefits of suburban living with city living is the notion that has driven the inspired architectural outcome that is East Park. Palumbo is a family owned South Australian building, construction and development company that have been a part of the building industry in Adelaide for over twenty-five years. 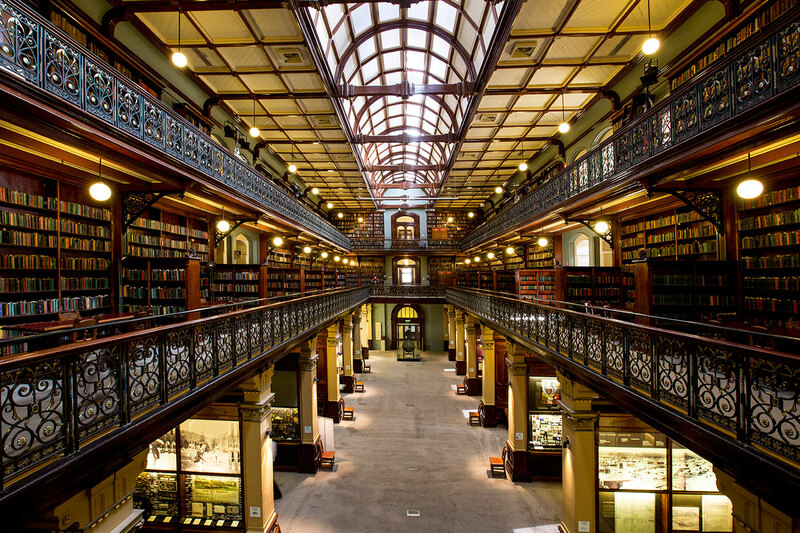 Our portfolio includes hundreds of projects completed for the South Australian Government, the Federal Government and a host of private clients. We are also highly experienced in delivering residential development projects. We have built a reputation for delivering projects of the highest quality, utilising our in-house expertise and consulting with the best designers, engineers and trade contractors. We treat every project as if it is our own. Construction of the East Park project at 1 King William St, Kent Town was completed in late 2017 and residents have been moving into this landmark building over the past couple of months. 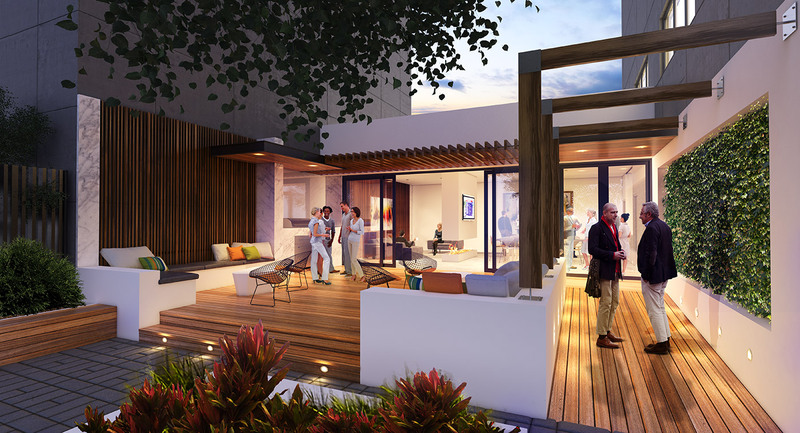 The video above showcases why this has been one of Adelaide's most sought after developments. 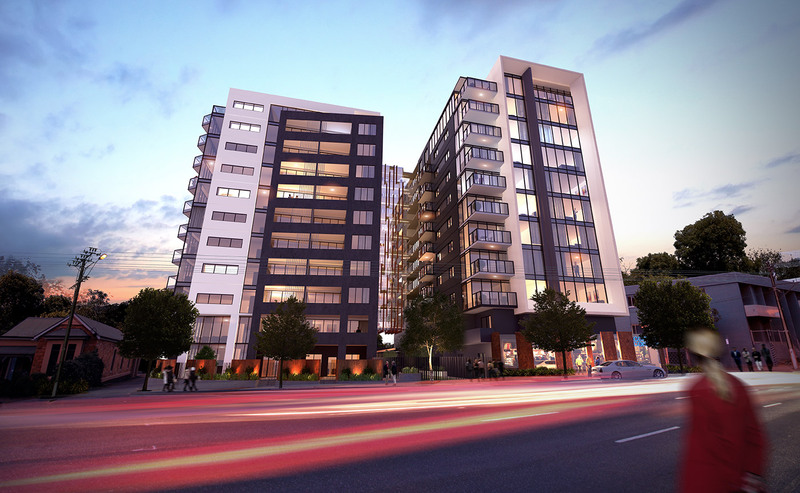 Especially popular with downsizers, East Park offers an industry leading fitout and the best city fringe location. There are a handful of apartments and townhouses still available for sale. Visit the onsite sales office at 1 King William St, Kent Town - open Mon - Fri from 10am-4pm. Palumbo is proud to announce that construction of East Park Kent Town is now complete, with settlements starting to occur. Our buyers have started to move into their new homes, and we are excited to have everyone involved at East Park Kent Town. We thank all our buyers, and everyone who has been involved in delivering this high quality development. For those who have been waiting for the completion of East Park before enquiring, we still have some great choices available. Our sales office at 3 Dequetteville Terrace is open 7 days, between 10am-4pm. Visit us today to find out what we still have remaining, or contact us to organise an appointment for you to have a personal inspection of East Park Kent Town. At East Park Kent Town, the holiday period was a busy one with the existing building demolished to make way for construction and the transition of the sales office into the building next door at 3 Dequetteville Terrace. The new sales office will be open every day 10am-4pm – come in to see us to view our 3D model, scheme selections and floor plans. We still have a good selection of apartments for sale and the full stamp duty concessions will continue to be available for a short time only. Register your interest via this website to get more information, or call 1300 608 868. To keep up to date with the progress of construction, visit our Facebook page and like us. Palumbo is proud to announce that construction of East Park Kent Town will commence on November 30th. This is consistent with our original target and expected completion is in the first half of 2017. For those that have been waiting on this announcement before making a commitment, there are still some great choices available but you will not want to leave it much longer. Stamp duty concessions of up to $15,500 are available for contracts signed up until the start of construction, after which time the amount of the concession will reduce as construction progresses. 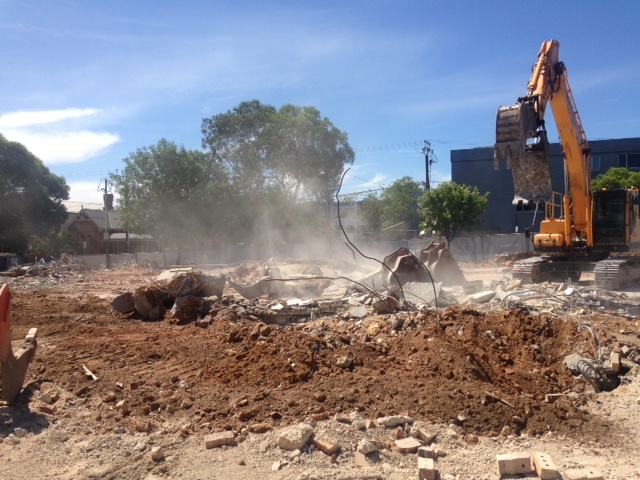 Our onsite display centre will remain open until construction commences. The display centre with life-size display apartment is open 7 days, 10am-4pm and presents a great opportunity to find out all the information you need regarding floor plans, prices & availability, scheme selections and a 3D model. The concept, design and quality of the East Park project was explained so well to us by Sam at the Display Centre. His enthusiasm and knowledge of the project was evident as he took us through the design features. Using the scale model of the building, the brochures and plans, and the excellently presented show apartment he helped us build a picture of the completed development. It became apparent that purchasing an apartment here was going to be a sound investment. We were looking at a one bedroom apartment as a potential investment property but within a couple of hours had shelved that idea and put our name down on a two bedroom apartment overlooking the CBD - we are going to live here ourselves. Securing our apartment, signing the contract and paying the deposit was straightforward and Sam has been available and ready to answer any queries we have had. 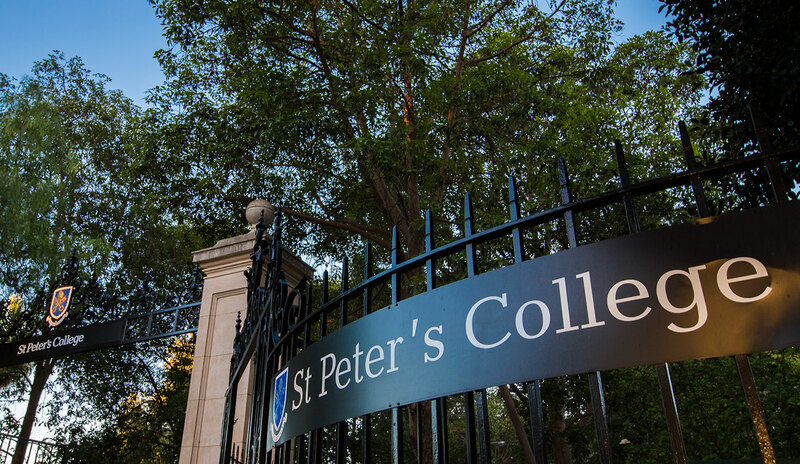 It is going to be a great place to live, overlooking the parklands and the CBD, a stone's throw to the East End and a pleasant walk through Botanic Park to work … and to the cricket. The professionalism and knowledge of the team at East Park helped make our decision with ease and comfort. We were highly impressed with the aesthetics, quality, generous layout of the apartment and the inviting common areas. The completion date couldn't come soon enough … very excited. Thanks for all your advice Sam and Mary. ‘When one is ready to stop being a global gypsy, one looks for a composite of all things seen and loved. East Park represented: sunset parkland walks, gracious high-rise living, pleasant city strolls, a fitting home for my collectibles and proximity to those I love. Thank you for the excellent service you provided during the purchase of our East Park apartment. In particular, your patience over the time it took us to make the commitment. The decision was not made quickly or easily, as much consideration was needed about the impact of lifestyle change before we took the plunge. The display centre was particularly helpful, allowing us to walk through a replica of our new apartment, view fittings and appreciate the high quality of your product. The scale model of the total building really helped us appreciate the innovative architecture and orientation of the complex. Although we’re experienced with interpreting detail on-plan, it was incredibly useful to view the apartment, building and surrounding environs in a “virtual reality”. This truly made the decision easier. 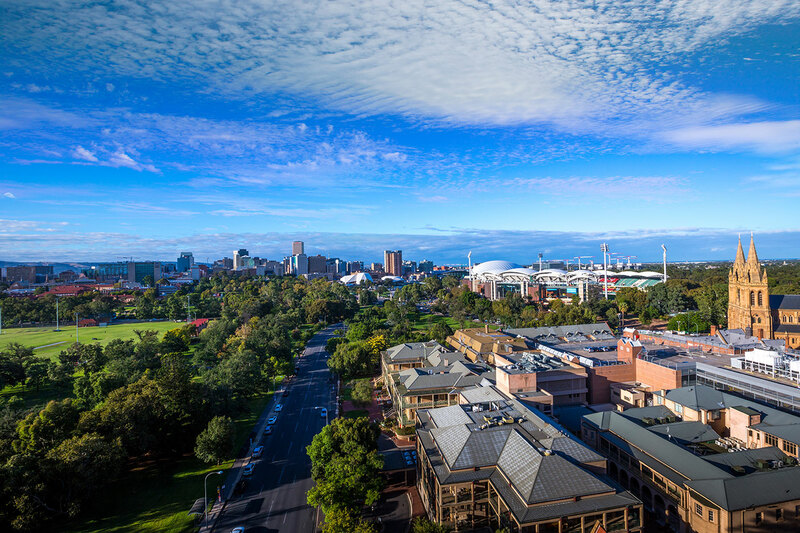 Although the reality is two years away, we’re incredibly excited about moving to East Park with easy access to east end restaurants and city amenities; not to forget the magnificent view over the Adelaide skyline and parklands. Once again, thank you for being an excellent and informative sales manager with a rare ability to give clients enough space and time to make important decisions. 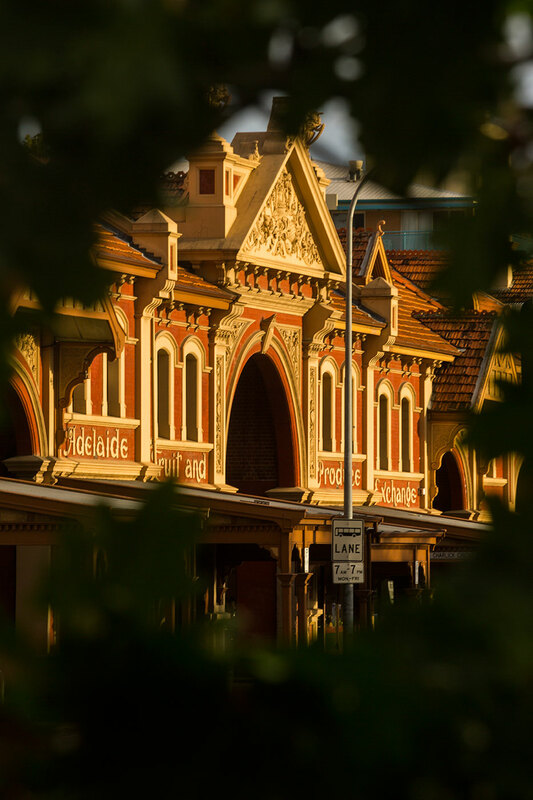 We were very happy to read the report in the Weekend Australian (25/26 April) regarding Adelaide's developing image as a vibrant foodies paradise and Lonely Planet’s list of top 10 cities. This was the icing on the cake for an excellent decision to purchase an Apartment at Adelaide’s premier residential address 1 King William Street, Kent Town. East Park encapsulates the charm of Adelaide – innovation in design surrounded by a vibrant lifestyle. We were in love with the building’s design right from the word go. What was more impressive was our first meeting with Sam and his introduction to the concept. Sam could not have been more honest, knowledgeable about all aspects of the design, development and financial aspects. He supported us in an extremely generous manner respecting and answering our questions. Coming from a smaller community ourselves we were able to identify with Sam’s low key, engaging manner. The first thing about East Park development that caught our attention was the address. The fact that it is so close to the city, yet near to both Norwood & Burnside was also appealing. At the display centre we were able to get a much better idea of the design of the building, and it really is impressive. The exterior looks amazing, as does the interior with the open air plazas between the buildings. The display apartment was really helpful as we were able to get a good idea of both the design, and also the quality of the appliances, and joinery. On arrival at the display centre we met the Project Sales Manager (Sam) he explained everything we needed to know with regard to the various designs, and positions of the apartments. The sales process was simple , thanks to Sam , and we now look forward to moving in to our new home which will have stunning views, beautiful design, top class finishes, and Location Location! ‘We found the idea of moving from a house and garden in an excellent location we have enjoyed for 50 years to somewhere more suitable for an aging couple so difficult that we had been searching for the right place for two years. 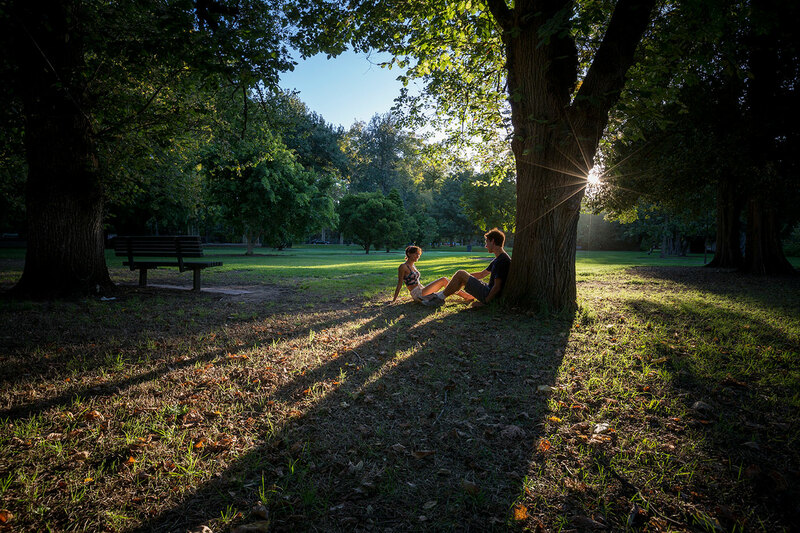 East Park offers an outstanding location on the side of Adelaide we prefer to live. It also offers excellent finishes, facilities and features, such as the four separate towers with windowed bridges. We were able to find an apartment layout we liked at a reasonable price and we were never under any pressure to make a decision. ‘Congratulations for providing me with the perfect location to live in Adelaide. The proximity to the cosmopolitan end of Rundle Street with all its attractions and amenities, as well as the River Torrens precinct, all within walking distance, initially drew me to the property. The Display Centre, including the photographs and scale model featuring the air bridges, café, gym, pavilion and gardens, is very appealing. My apartment on the eighth floor will have superb views of Mount Lofty as well the leafy surrounds of Norwood. East Park truly is: “Where the eastern suburbs touch the city”. ‘The appeal of the East Park apartments is immediate—close enough to walk into the heart of Adelaide, yet neighbouring the desirable eastern suburbs. The apartments provide that “city living” feel without being embedded within the city itself, instead offering the beautiful East Park Lands as a thoroughfare into town. With an option to face the Adelaide foothills or the lively parklands there are desirable views from any vantage point. 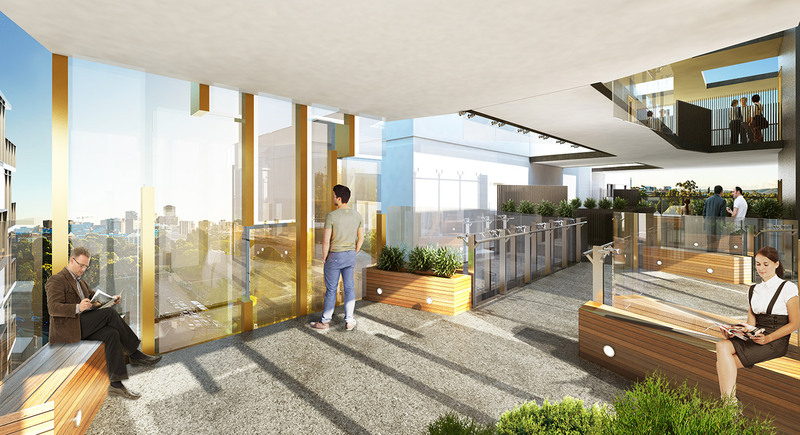 The drawcard of innovative building design, modern luxury within each apartment and a price point that is in reach of the first home buyer makes East Park an attractive option, particularly for anyone wanting to situate themselves in Kent Town, a suburb earmarked for significant growth. ‘We had been discussing the future option to further downsize and move to an apartment in close proximity to the city. When a close friend informed us that a new apartment complex was being built in the East End we decided to visit the site. We were delighted with the level of detail available at the Display Centre and the low-key approach in providing us with all the information we required to be fully informed. At no time did we ever feel pressured. We are not “impulse buyers” and did not have any intention of making an immediate decision at East Park, but given the design, location and overall development we have signed a contract for the purchase of a two-bedroom apartment. ‘We are very much looking forward to the day we can move in to our new apartment at East Park, Kent Town. Our interest was initially sparked with the marketing on realestate.com.au, and after making comparisons with other new build locations in the city we decided on the Palumbo design. The location, generous floorplan layout and quality of fixtures and fittings on show in the display apartment helped close the deal. Added to that, the assistance and advice given by Palumbo in securing Foreign Investment Review Board approval made the purchase process easy, and we are confident we have made the right choice in the right location. Looking for my first home was a daunting task however the moment I saw the location of East Park I was sold immediately. Where better to live the dream of city living while staying in touch with the eastern suburbs. I was not pressured into buying at all and the whole process was very smooth and stress free. The quality of development and the attention to detail in the display centre was very impressive. I can’t wait to move in and enjoy. I've lived in Hong Kong for almost two decades and have been spoiled by spectacular views that are often available. I had been searching for low maintenance, apartment style accommodation in Adelaide that would suit my transient lifestyle. However, looking at the many apartment complexes going up around the city, I was not successful in finding anything with any panache. Until East Park. I have purchased a 2 bedroom apartment which will have great views over the east parklands, the city and the Botanic Gardens. Additionally it is incredibly convenient to Rundle St cafes, cinemas etc. The standard of fixtures and fittings is most definitely of a high standard and looks to be a high quality establishment. The sales process was very simple. Sam was most helpful and very low key - at no stage was any pressure put on me to complete the sale. With 50% of apartments now sold, East Park is on track to meet its construction start-up target. Project developer Daniel Palumbo is expected to make an announcement in the next few months confirming construction start-up in late 2015, on track for completion in 2017. The project’s characteristic fresh air and open space are proving popular with buyers, especially eastern suburbs downsizers. East Park’s ‘four-tower’ design concept is something new for Adelaide in that it opens up space at ground level to bring the outside parkland environment into the development. The towers are connected by protected open walkways and expansive viewing platforms on each level. These allow natural breezes to flow and provide spectacular views: of the city in one direction, and over the leafy eastern suburbs across to the hills in the other. The 500 square metre landscaped garden, exclusively for residents and their guests, replaces the dour lobbies and corridors traditionally associated with apartment living. This flows into an elevated residents’ pavilion, with its own lounge area, fireplace and butler’s kitchen. The apartments themselves abound in fresh air, open space, natural light and cross-flow ventilation. Unusual for a residential project of this scope, every bedroom has an opening window. The exceptional sense of space frames the outlook, whether city or hills. Features include: expansive balconies, 2.7 metre ceilings, ducted reverse cycle heating and cooling, timber flooring in the living areas and kitchen, woollen carpets in bedrooms, marble or stone benchtops in the kitchens and bathrooms, Smeg appliances with gas cooktops and externally ducted rangehoods, premium quality kitchen and bathroom fittings and two-pack joinery. Each apartment is a combination of clean lines, natural textures and beautiful finishes. Buyers can choose from 30 different floor plans and three colour schemes. There is underground secure carparking and every apartment has at least one carpark. A café is planned for the southwest corner and there is a fully equipped gymnasium on the first level. Entry is via King William Street. Valued at more than $70 million, East Park is an 11-storey development comprising 98 luxury one, two and three bedroom apartments and penthouses. Nine townhouses occupy the first two levels. Apartments are priced from $340,000 to $2.2 million for the luxury penthouses on the top floor. The project will support more than 400 jobs during construction. Wine and dine around the world in the uber cool East End, but with the sanctuary of home just across the park. Of the city’s 12 designated cultural precincts, the East End is arguably Adelaide’s hippest. Its laneways, streets and terraces are a natural home for quality cafés, wine bars and restaurants that offer quality wining and dining experiences, whether uniquely local or international in flavor. East Park sales manager Sam McCarthy says close proximity to the East End precinct comes in as among East Park’s top features. ‘Our buyers tell us that East Park offers the best of all worlds. ‘The vibrancy of the East End’s café and restaurant scene is within easy reach, to drop by on the way home or enjoy a night out with family and friends. ‘But being on the city’s eastern fringe, the sanctuary of home is a brief stroll across the park, and popular Norwood Parade and Burnside Village are a short drive away, no crossing town’, says Sam. Ebenezer Place has emerged as the spot for cafes and lunch spots, such as Hey Jupiter, Sad Café and Nano. 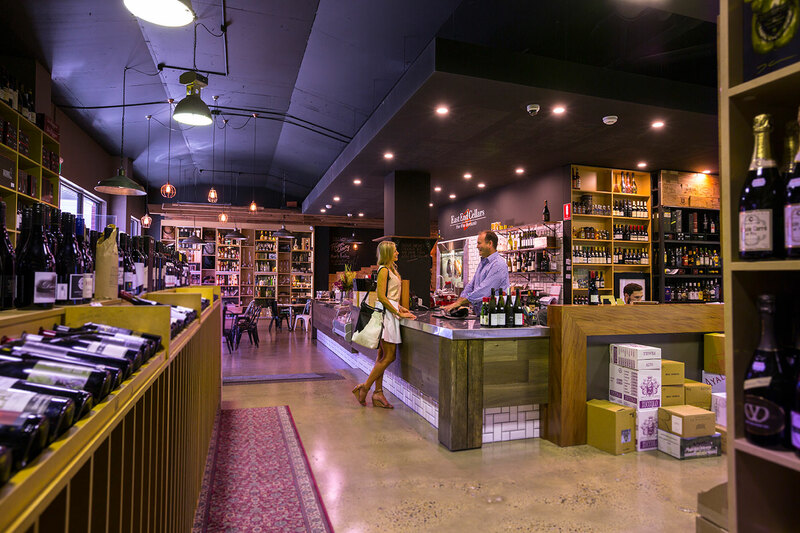 The Tasting Room at East End Cellars, nestled in Vardon Avenue (near Ebenezer Place), is just the place for tasty platter treats and to experiment with the best of what South Australia has to offer in world-class wines. The related Mother Vine, across the avenue, supports and showcases local and individual wine producers as well as more well-known names and food is simple and rustic. Street, a large two-level bar and restaurant on Rundle Street, highlights the taste and flavours of Australia using native Australian ingredients. Cocktails, too, feature a native twist. Sosta Argentinian Kitchen, also on Rundle Street, is a high point of the district’s eating scene with Argentinian food served in a coolly elegant setting. Amalfi Pizzeria Ristorante, on Frome, serves traditional Italian food. It is an Adelaide dining institution, serving some of the best pasta and pizza on offer anywhere. East Terrace Continental (ETC), on East Terrace is a favourite for breakfast/brunch and just a lazy 400m stroll across the parklands from East Park – in fact you could see it from your balcony if only there weren’t so many trees in the way. Colourful Africola, on East Terrace, features the cuisine of southern Africa, including the braai—a southern African barbecue, which is carried to the table. Note: the seats are lime green and patterned tablecloths are lit up by a string of fairy lights. Golden Boy is a traditional Thai eatery with a contemporary twist connected to the Botanic Bar on North Terrace, opposite the Botanic Gardens. The city fringe suburb of Kent Town has topped the list for most searched suburbs for off-the-plan apartments in SA. Adelaide is the only Australian city to make The New York Times 52 top travel destinations in 2015. Ranked number 24 on the list, Adelaide is up there for its cool bars and cafes, cultured atmosphere and energetic arts scene. It was joined on the list by places like Milan and Rabat, Morocco. ‘But there are more reasons to stay in the city, thanks largely to an energetic arts scene . . . and robust dining scene’, says the article. And everything that makes Adelaide the place to be is at arm’s reach at East Park. The annual musical treat WOMADelaide earns praise, and is diagonally across the road in Botanic Park, next to the Botanic Gardens. The adjacent National Wine Centre boasts a tasting room experience from Penfolds’ famous Grange to boutique wine labels. The Adelaide Festival of Arts, which also gains mention from tastemakers, takes place at the nearby Festival Centre. This is part of the Riverbank Precinct entertainment and hospitality strip, home to the redeveloped Adelaide Oval, Convention Centre and SkyCity Casino. The lively East End, a five-minute walk across the park, is at the heart of the city’s ‘robust dining scene that encompasses everything from street ... to posh’. The precinct is also the starting point for the Tour Down Under, the cycling race that attracts riders from around the world, and a focus for the eclectic Adelaide Fringe festival. Adding to the city's vibrancy and cultural mix is North Terrace, the nearby cultural boulevard, with the Art Gallery, State Library, Museum and Adelaide University. In another coup for Adelaide, the city came in fifth in the world (ahead of Sydney and Perth) in the most liveable city survey of 140 cities by the Economist Intelligence Unit. 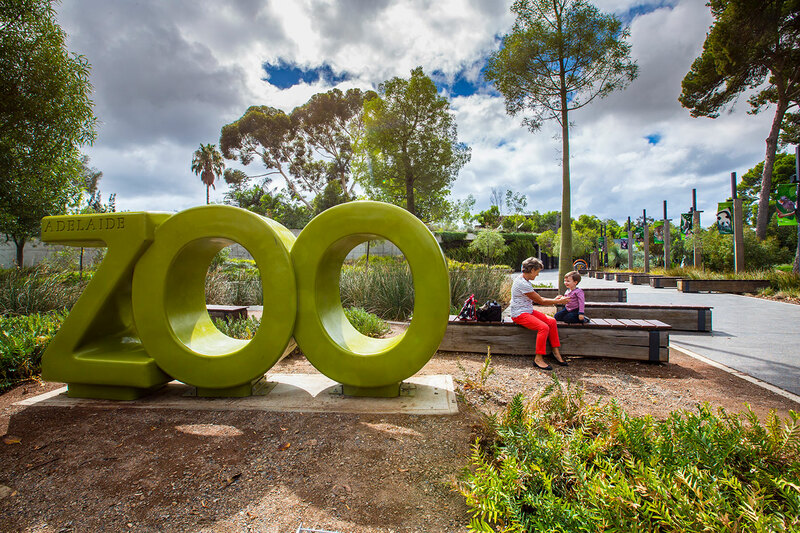 Adelaide was also voted the most liveable city in Australia for three consecutive years in the Property Council's national My City: The People's Verdict survey.